For much of his adult life, Jesus resided in the small fishing village of Capernaum on the Sea of Galilee. It was here during the infancy of early Christianity that he began his ministry in the town synagogue (Mark 1:21), recruited his first disciples (Mark 1:16–20) and became renowned for his power to heal the sick and infirm (Mark 3:1–5). Early travelers to the site had long recognized the beautifully preserved remains of the ancient synagogue that many believe marked the site, if not the actual building, of Jesus’ earliest teaching. But an important detail of how Christianity began still remained: Where in the town had Jesus actually lived? Where was the house of Peter, which the Bible suggests was the home of Jesus in Capernaum (Matthew 8:14–16)? Buried beneath the remains of an octagonal Byzantine martyrium church, excavators found the ruins of a rather mundane dwelling dating to the first century B.C. Beneath the foundations of this octagonal Byzantine martyrium church at Capernaum, archaeologists made one of the most exciting Biblical archaeology discoveries: a simple first-century A.D. home that may have been the house of Peter, the home of Jesus in Capernaum. Photo: Garo Nalbandian. Although slightly larger than most, the house was simple, with coarse walls and a roof of earth and straw. Like most early Roman-period houses, it consisted of a few small rooms clustered around two open courtyards. Despite later proving to be one of the most exciting Biblical archaeology discoveries, the house appeared quite ordinary. According to the excavators, however, it is what happened to the house after the middle of the first century A.D. that marked it as exceptional and most likely the house of Peter, the home of Jesus in Capernaum. In the years immediately following Jesus’ death, the function of the house changed dramatically. The house’s main room was completely plastered over from floor to ceiling—a rarity for houses of the day. At about the same time, the house’s pottery, which had previously been household cooking pots and bowls, now consisted entirely of large storage jars and oil lamps. Such radical alterations indicate that the house no longer functioned as a residence but instead had become a place for communal gatherings, possibly even the first christian gatherings, a key factor in how Christianity began. As with many Biblical archaeology discoveries, often the small details most convincingly tie ancient material remains to Biblical events and characters. For instance, the excavators found that during the ensuing centuries, the plastered room from the original house had been renovated and converted into the central hall of a rudimentary church. The room’s old stone walls were buttressed by a newly built two-story arch that, in turn, supported a new stone roof. The room was even replastered and painted over with floral and geometric designs of various colors. The building’s key role in understanding how Christianity began was confirmed by more than a hundred graffiti scratched into the church’s walls. Most of the inscriptions say things like “Lord Jesus Christ help thy servant” or “Christ have mercy.” They are written in Greek, Syriac or Hebrew and are sometimes accompanied by etchings of small crosses or, in one case, a boat. The excavators claim that the name of Peter is mentioned in several graffiti, although many scholars now dispute these readings. This simple church building, helpful in determining how Christianity began, survived for more than 300 years before it was finally replaced in the fifth century by a well-built octagonal martyrium church. Octagonal martyria were built to commemorate an important site, such as the original house of Peter that once stood here. The inner sanctum of the octagonal building was built directly above the remains of the very room of the first-century house that had formed the central hall of the earlier church. 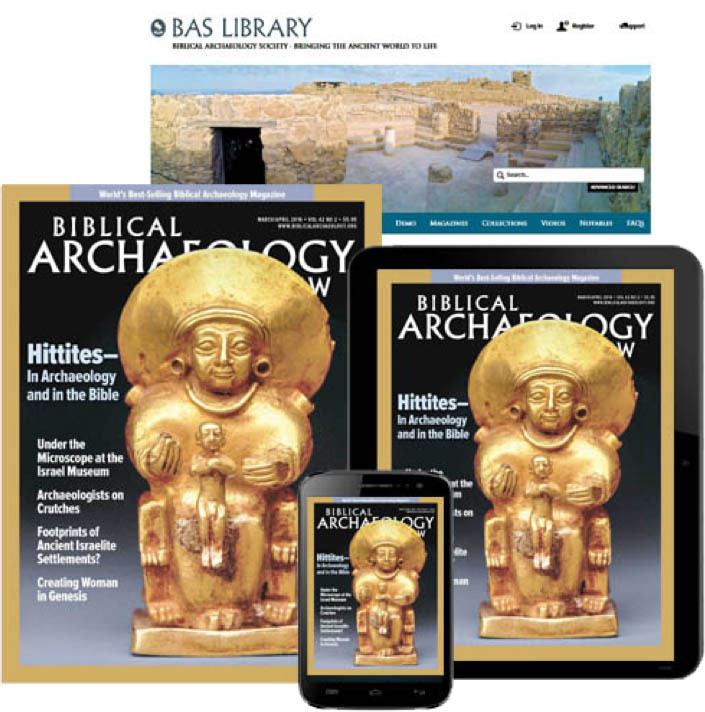 Biblical archaeology discoveries are not cut-and-dry cases. Though there is no definitive proof in this instance that the house ruin uncovered by the excavators actually is the ancient house of Peter, there is layer upon layer of circumstantial evidence to support its importance in early Christianity and its association with Jesus in Capernaum and his foremost disciple, Peter. Were it not for its association with Jesus and Peter, why else would a run-of-the-mill first-century house in Capernaum have become a focal point of Christian worship and identity for centuries to come? This Bible History Daily feature was originally published on March 29, 2011.